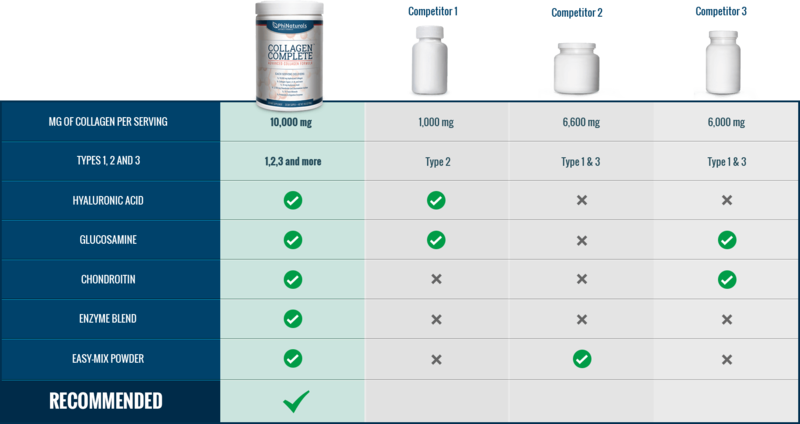 How healthy is your collagen? Just look at your skin texture and you'll know. 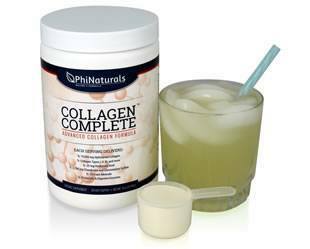 The body's collagen production begins to slow down in your mid-20's and continues to decline into old age. 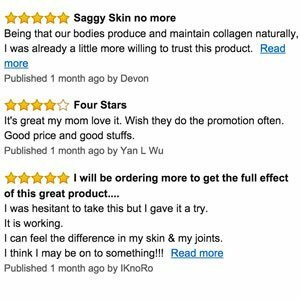 One of the most important nutrients your body uses to keep your skin moisturized and prevent further collagen breakdown. 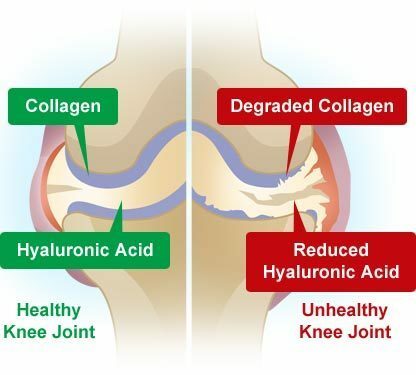 Natural compounds used by the body to create Hyaluronic Acid. 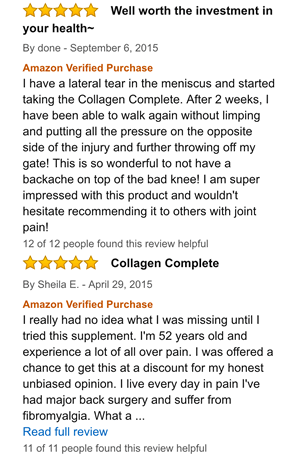 Glucosamine is also proven to protect the skin from sun damage (UV damage) and slow the formation of age spots. 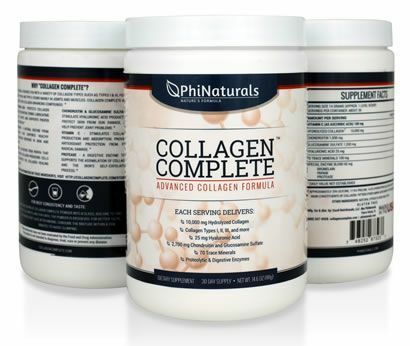 An enzyme from the papaya fruit that helps heal the skin by promoting the activity of collagen-producing cells, so your body will also produce its own collagen. 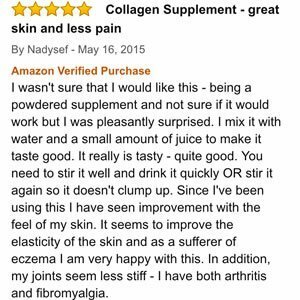 An enzyme from pineapples that has been shown to improve certain inflammatory skin conditions such as acne, rosacea, dermatitis, eczema, and psoriasis, giving you clear, radiant skin. Vitamin C's antioxidant powers help protect collagen from free radicals that would break down collagen structure. 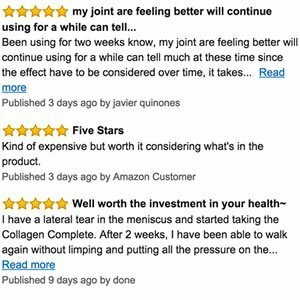 No other collagen supplement compares to Collagen Complete! 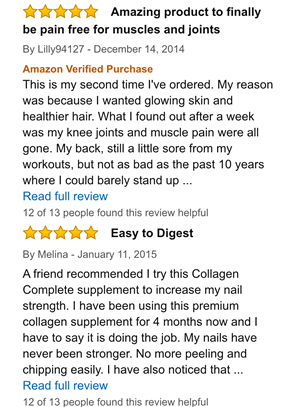 Try Collagen Complete Now and save 16%! 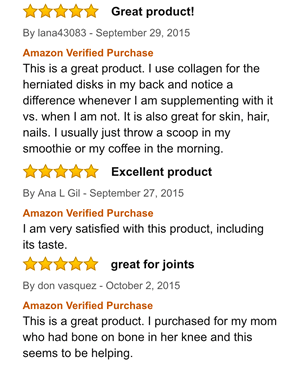 Discover the anti-aging breakthrough of the century with this limited-time offer.